Join us today as we begin our study of this book by well-known author Beth Moore. Phyllis Miller will be leading our journey as we study the Psalms. 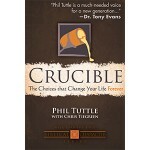 Join us this Sunday at 9:30 when John Schaerffer leads us in a new study titled “Crucible”. God will use the choices we make to transform us into people after His own heart – and shape our lives forever. 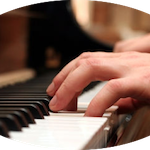 We are still looking for a pianist to accompany the Choir for service. Interested parties, please call the front office or email Jerry Brock or Roseanne Verheyen.